Are you stressed with a tax levy or garnishment? Are you facing a tax problem at the moment? We assist taxpayers in Montebello, resolving IRS tax levy, wage garnishment, IRS audit, back taxes, unfiled returns, 941 payroll issues and appeals. Tax problems can really put a heavy load of stress on your life and finances. Are there ways out? Yes, various options. Don’t let the IRS collection action destroy your life? It pays to be informed on how to release an IRS tax levy and resolve your tax problem. 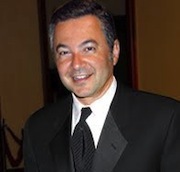 Mike Habib, a highly qualified professional in handling IRS tax levy issues in Montebello can help you get back access to your bank accounts and able to release all levies. Regardless of the nature of the issue, setting up an installment agreement, setting up a partial payment agreement, negotiating an offer to compromise and proving financial hardship our licensed IRS tax Levy experts serving Montebello will help you. 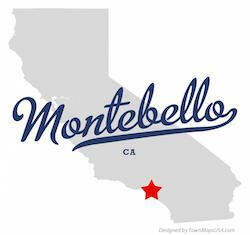 Montebello is a home to oil reserves and to more than 62,000 residents. It is a city situated in L.A County in California and it is just at the Southwestern part of the San Gabriel Valley. It is just 13km at the East of the downtown L.A. it is a part of the Gateway cities and it is a member of the Gateway Cities Council of Governments. Montebello is also known to parks and different recreation centers for different age groups. This is because their mission is to make a community through people, recreation and parks at the same time. We can help you resolve any tax issue. Regardless if you worry so much about compounding interest, fines and penalties, wage garnishment, bank levies and tax liens. Our expert tax professional will help you find the relief that you are looking for. We can help you get the release of your IRS bank levy in a short span of time than anyone else. Your case will be represented in the right manner. If you do nothing, the IRS will continue its enforcement actions, such as more levies on bank accounts, social security, wages, filing tax liens against any and all properties you own. Do something now!